A giant statue of Christ—"bigger than the one in Rio," chortles the parish priest—serves as the symbolic lookout for the manifold small-town hypocrisies on view in Malgorzata Szumowska's Mug, winner of the Silver Bear at the Berlin International Film Festival. Jacek (Mateusz Kosciukiewicz, Walesa: Man of Hope, MVFF 2013), a cheerfully shaggy, Metallica-loving construction worker, has just proposed to his girlfriend when a devastating accident results in facial reconstruction that renders him almost unrecognizable, even to himself. Szumowska (Body, MVFF 2015) uses this tragedy as the jumping-off point for exposing the shortcomings of the people who surround the suffering Jacek. Alongside a trenchant (and often darkly funny) cultural critique of a rapidly modernizing society that is only concerned with surface appearances, Mug offers a memorably iconoclastic protagonist who faces down the various indignities thrust upon him, refusing to let his altered appearance change who he is inside. 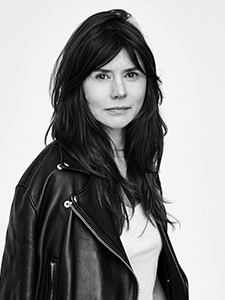 Born in Krakow on February 26, 1973, director, screenwriter, and producer Malgorzata Szumowska graduated from the Lódz Film School. She received European Film Award European Discovery nominations for her debut feature, Happy Man (2000), and her second film, Stranger (2004). Her other films include 33 Scenes from Life (2008), winner of the Silver Leopard at the Locarno International Film Festival; Elles (2011); In the Name of… (2013), winner of the Teddy Award at the Berlin International Film Festival; and Body (2015), which won the Silver Bear at the Berlin International Film Festival and European Film Festival Audience Award.